Dr Vijay Rao, currently serving as RSNA president, recently complained that clinical colleagues at her own institution – Thomas Jefferson University in Philadelphia – were telling medical students not to pursue a career in radiology because there would be no jobs for them. She was particularly critical of one high-profile venture capitalist, Vinod Khosla, who predicted last year that radiologists would be obsolete in five years because sophisticated AI algorithms would surpass a human’s ability to identify pathologies in medical images. Rao argues AI should be seen as a friend not a foe, and that the technology will improve workflow for busy clinicians. 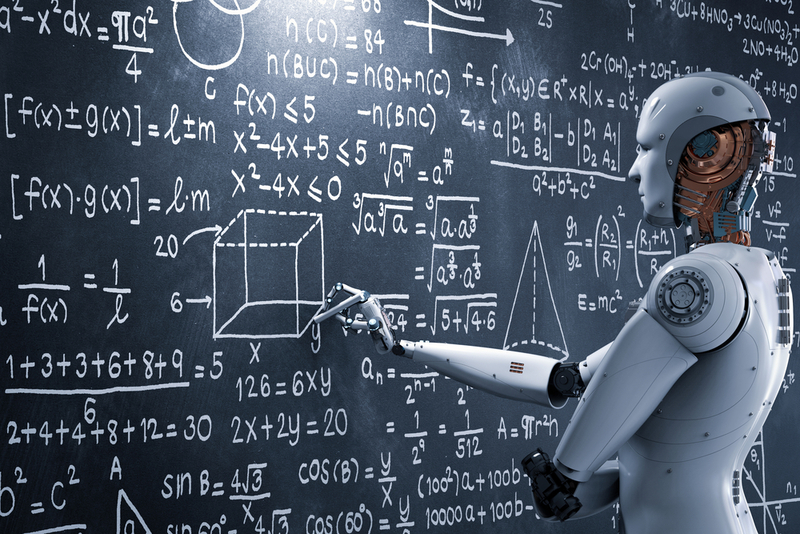 Medical imaging companies like Philips, Agfa and Siemens have already started to incorporate AI in their software platforms. In fact Siemens has just invested $5 million in the Dutch firm ScreenPoint Medical that has applied AI algorithms to develop Transpera, a product that analyses full-field digital mammography images to detect breast cancer. From Israel comes the news that Zebra Medical Vision, which has used AI to develop a product that analyses chest X-rays, has just raised $30 million in venture capital funding. IBM Watson – named after the company’s founding CEO Thomas J Watson – is a computer system that is capable of answering questions posed in natural language. One of the healthcare applications implemented on Watson is Medical Sieve that has been designed to assist radiologists and cardiologists in making clinical decisions. 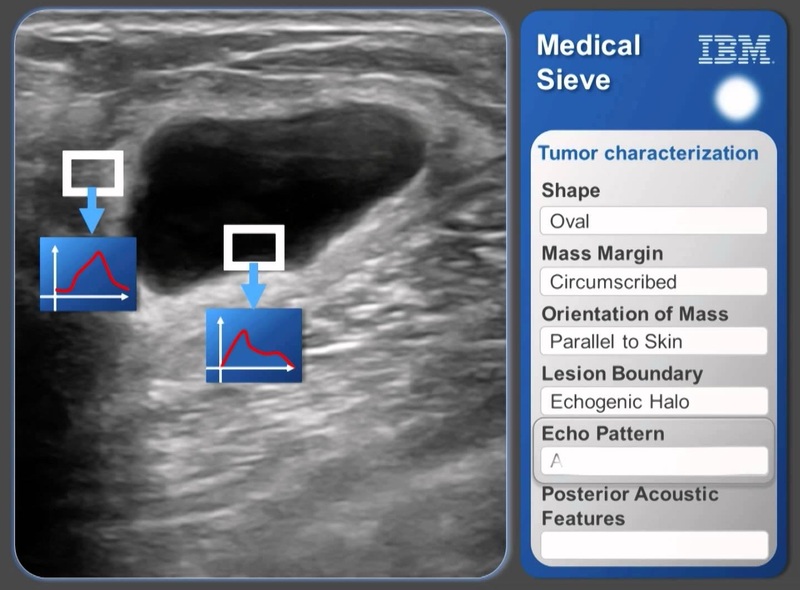 Seen at left (© IBM) is an ultrasound image of a breast tumour that has been accurately characterised by Medical Sieve, which can be accessed via a web-based browser interface. Would appear to be the way to go! Yup. AI is only a tool to be used by radiologists and others involved in the field. No sweat. Would AI replace all participants in a clinical conference? Would AI pick up the phone for advice? Wake up.